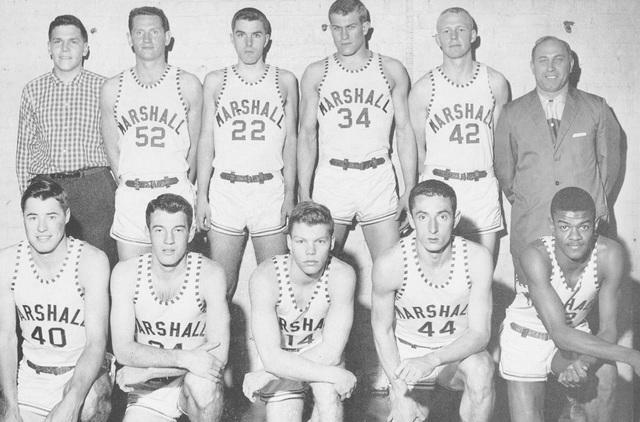 In 1955, not only did Greer break the color barrier at Marshall, he became the first African-American athlete to play for a traditionally white college in West Virginia and one of the first in the South. During his three-year career at Marshall, Greer scored nearly 1,400 points and posted an incredible 54-percent field-goal rate. He went on to star in the NBA for the Syracuse Nationals and Philadelphia ’76ers, leading the Sixers to a national championship in 1967. When Greer retired in 1973, he held the NBA record for most games played and ranked in the top ten in points scored and field goals made. He was later inducted into the Naismith Basketball Hall of Fame and named to the NBA’s list of the 50 greatest players in league history. In 1978, the city of Huntington renamed a major thoroughfare in Hal Greer’s honor.